Today I am going to share a Method to hack Wifi Password, using this method we can hack wifi WPA/WPA2 – WPS enabled networks within seconds, the easiest and best way to Hack wpa/wpa2 - wps networks in windows. 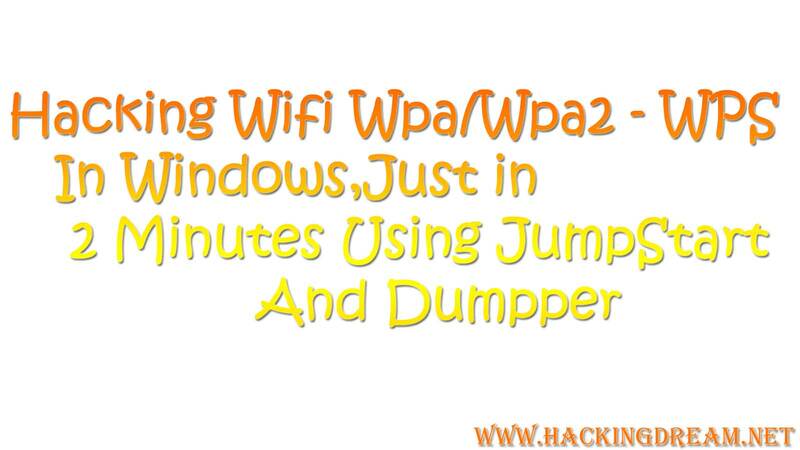 This hack works only on wps enabled networks. WPA2 has replaced WPA. WPA2, which requires testing and certification by the Wi-Fi Alliance, implements the mandatory elements of IEEE 802.11i. In particular, it includes mandatory support for CCMP, an AES-based encryption mode with strong security. Certification began in September, 2004; from March 13, 2006, WPA2 certification is mandatory for all new devices to bear the Wi-Fi trademark. 2. Does not work on all Routers & all encryption's, so cannot hack all the wifi networks Available near you. At least this method can’t. 4. While hacking some networks it says "Wireless Configuration Failed " that means jumpstart (the software that we are going to use to hack wifi password) cannot hack that network. Download and Install all the above given Applications one by one, even If a single software installation is missed (Except Dumpper), lot of errors might occur which might disable the functionality of other software that might result in failure of hack. Be careful while downloading and installing these software’s. 3) You can see all the available Networks, Move to "WPS" tab and click on "Scan"
9) Jumpstart tries to "Associate with the network" and runs few command on the target router trying to get details from it. 10) In just few mins, you can see that you are already connected to the network that you are trying to hack. 11) Click on "Profiles" to see the passwords of all the networks that you connected to already at least once. 12) Click on Any Profile or network name (SSID) to view the details of the networks along with the password and the encryption which the network uses. 13) You can check the passwords of the connected networked using different ways, here is one without using any tools or applications or without running any commands. 14) Click on "Open Network and Sharing Center"
16) In the "General" tab click on "Wireless Properties"
17) Move to "Security" tab. 18) In Security Tab, check the "Show Character" button, then you can see "Network Security Key" which is the password of the router that you are connected to. Note: If you are logged into the system as a Limited user; you might be prompted to enter your system password. If you are Stuck anywhere in the process of hacking wifi, feel free to comment below, i will try to help you solve your problem. Before that please check Frequently asked questions. you might find the answer you are looking for. 1) Does This method actually work?? 2) Jumpstart shows Wireless configuration failed!..what could be the reason for it not to be successful? 3) Hacking With JumpStart Failed, how should i hack this particular network now ?? 4) Networks Found in Wifi Tab but nothing in WPS Tab, what should i do not ? Ans: This is neither your fault or Dumpper's or the system's fault. This happened because there are no WPS enabled networks near you. Dumpper and Jumpstart cannot hack the networks with wps disabled. so you need to go for another method of wifi hacking, which means you need to work a little on Kali Linux to hack the network, even though its not as easy as Dumpper. Click here To read what to do if Dumpper doesnt work. If you are not able to understand which method to select, here is complete tutorial on Wifi Hacking, which explains the process of choosing the method to hack any kind of router. which can be easily understood by beginners. Follow this article, once you scroll down a little you can find all the methods, usage and the method selection for hacking any kind of router. 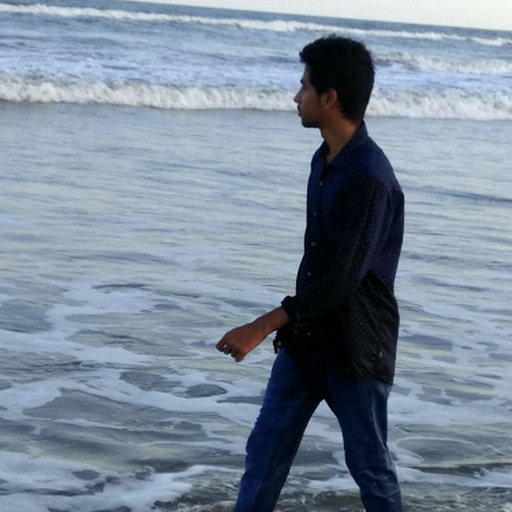 Main Principle of My Hacking Dream is to Promote Hacking Tricks and Tips to All the People in the World, So That Everyone will be Aware of Hacking and protect themselves from Getting Hacked. Hacking Don’t Need Agreements. sir, please help me i want to hack wifi network which has WPA2-PSK security. the jump start is stuck showing "Associating to the Network" and eventually comes up with "Failed to config"
When click WPS, nothing happens. it did not show any result. Not working when clicking on the wps> all networks> scan. Net framework 4.5 didn't installed it always shows downloading. hey it shows in wpspin box locked. downloaded & going to test it. ohhh thx im now realy happy. After the wpa2 is hacked in jumpstart, it shows failed to access the network. Please help. in Jumpstart it shows Wirless configuration failed!..what could be the reason for it not to be successful? thank you very much it worked !!!!! "WPS" Tab, All Networks, Scan, not work. i had also used Dumpper v.80.8. “WPS” Tab, All Networks, Scan, is not work. also had used Dumpper v.80.8. Its not showing any network on scanning in wps tab but it is shown in networks tab so what to do ? This tutorial is using Windows.I found this tutorial using Kali Linux very helpful. Hope it helps. where are the comments showing up? Your tricks are just awesome man!